Produktinformationen "Sandrone Valmaggiore Nebbiolo D'Alba 2010 Magnum Piemont Italien Rotwein"
Sandrone Valmaggiore Nebbiolo D'Alba 2010 Magnum Italien Piemont Rotwein. Luciano Sandrone, einer der Qualitätsfanatiker aus dem Piemont ... seine Weine sind legendär, vor allem der "Le Vigne" und "Canubi Boschis". Der Valmaggiore, der kleine Barolo, kann vorzüglich altern und bringt sehr viel Nebbiolofreude! Aus den Tiefen des Roero stammen die Trauben für den Nebbiolo Valmaggiore, der ein elegantes Spiel zwischen Fruchtaromen und seidigen Tannin bietet. Feine Frucht- und Minzaromen im Nachhall. 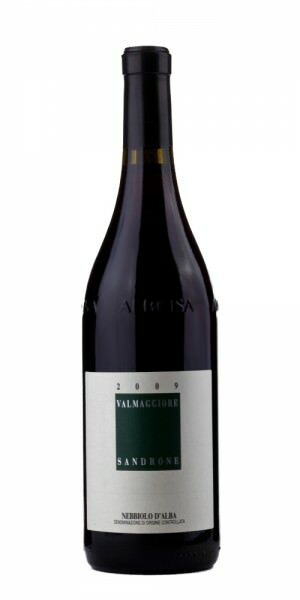 The 2010 Nebbiolo d’Alba Valmaggiore is striking. It flows from the glass with sweet red fruits, flowers, spices and herbs in a very representative expression of this site. This is a gorgeous, poised Nebbiolo with wonderful mid-palate sweetness and fabulous overall balance. A clean, saline finish gives the wine its focus and proportion on the finish. Anticipated maturity: 2011-2019. This is a gorgeous set of entry-level wines from Luciano Sandrone that speak to the estate’s unwavering commitment to quality throughout the range. These are fabulous wines that make a great introduction to the work of one of Piedmont’s leading estates. The amphitheater. The Valmaggiore vineyard in the Roero hills, on the left bank of the Tanaro river, is one of the best historic sources of origin and quality. Already in the nineteenth century, the Nebbiolo grapes grown in this vineyard were so highly regarded that they dictated the price for the entire territory. In the 1990s, the first sight of Valmaggiore was like a bolt of lightning for Luciano, Luca and Barbara: they fell in love at first sight. This was not only for the history and the long viticultural tradition, but also for the particular uniqueness of those sandy soils combined with the microclimate. All "hand-made". Our Valmaggiore is an amphitheater facing the south, with full exposure to the sun. Here, nature is rich and vigorous. The ground is soft and sandy, the slopes extremely steep. Already in the planting of the vineyard, the respect for nature and traditions were strategic. This respect is present every day: we cultivate by hand, row by row, from bud break to when we harvest the ripest grapes; we make our vineyard a laboratory for healthy and well-cultivated fruit. The Nebbiolo in Roero. In Roero, a significant historic agricultural richness has been preserved, and not only in viticulture. Here, Nebbiolo is distinguished for its finesse and elegance and we, like those in the past who were also proud and convinced, wish that our Valmaggiore wine expresses all the grace and refinement of Nebbiolo. Weiterführende Links zu "Sandrone Valmaggiore Nebbiolo D'Alba 2010 Magnum Piemont Italien Rotwein"
Kundenbewertungen für "Sandrone Valmaggiore Nebbiolo D'Alba 2010 Magnum Piemont Italien Rotwein"